Employment set-asides designated for unskilled foreign workers, with wage levels determined by the government, are nothing but a stick in the eye to competing low-wage workers in the American market. A bipartisan group of senators, known as the Gang of 8, has put together a framework for the immigration reform that supposedly America is waiting for. Provisions of the agreement have been widely leaked and, from what I see, these senators should return to the drawing board. If we are going to tackle immigration reform, there should be agreement at the outset on the objectives. In my view, there should be three. It should enhance the freedom, fairness and security of the nation. If not, why bother? The Gang of 8 proposal makes no gains on any of these fronts. And on at least one front -- fairness -- it makes a bad situation even worse. It seems to be the way of Washington these days to take issues that are huge and complex, devise comprehensive mega-reforms -- too massive for any single person to read or grasp -- and pass a new law that exchanges one set of problems for different and even bigger ones. We just finished going through this with reforms of our financial services system and our health care system. Now we're about to do the same with immigration. It's unrealistic to think that with one new law we can secure our border, deal with 11 million illegal immigrants now in the country, devise a new way of allowing skilled labor to enter the country, and create a strategy to employ unskilled foreign labor. But Washington is trying to do it all. And it seems that another legislative disaster is waiting to happen. A purported achievement of the Gang of 8 is an agreement between big business and unions regarding hiring of unskilled foreign labor. As our nation buckles under the load of excessive government, the proposal involves giving Washington even more power and building yet another new government bureaucracy. 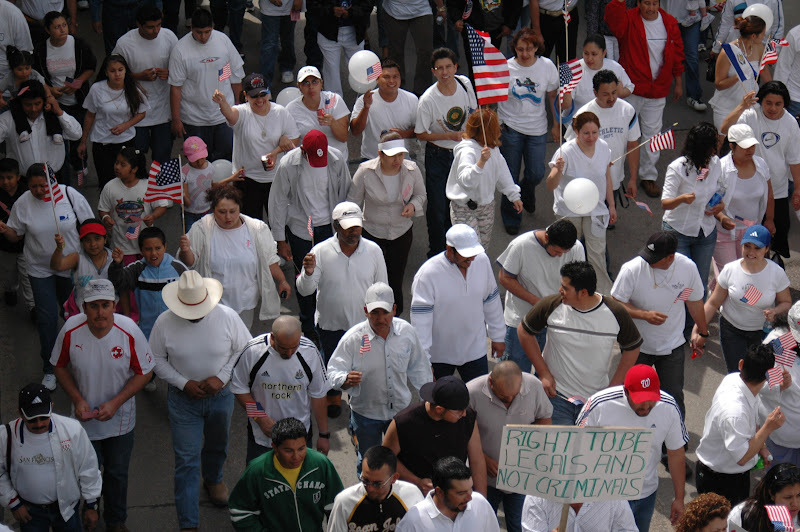 The plan calls for a new Bureau of Immigration and Labor Market Research. Why yet another new bureaucracy at a time of trillion-dollar deficits and cancelled White House tours for students? Quotas, which can be adjusted over time and market conditions, will be set for how many visas will be permitted for unskilled foreign labor. We'll need a new army of bureaucrats sitting in Washington to study and report on conditions of different labor markets. The quota starts at 20,000 and can reach, over time, a ceiling of 200,000. At its peak, illegal immigration was around 500,000 people a year. So in boom times, even at full quota, we still could have illegal immigrants sneaking over the border. Government bureaucrats not only will determine how many can be hired, but also what they can be paid. In this case, the "prevailing wage." Prevailing wage is a defining provision of the Davis-Bacon Act, passed in 1931 to keep unskilled black labor from competing with union workers -- at the time uniformly white -- on federally funded projects. Prevailing wages are generally union wages, and they assure that taxpayers pay top dollar for government construction projects. Now, in the name of immigration reform, the prevailing-wage standard is brought, for the first time, to the private sector. Which gets to the fairness issue. Employment set-asides designated for unskilled foreign workers, with wage levels determined by the government, are nothing but a stick in the eye to competing low-wage workers in the American market. It so happens that today these would be black workers. At 13 percent, black unemployment now is almost double the national average. But according to an analysis by Remapping Debate, a project of the Anti-Discrimination Center in New York, unemployment among young black men with no high school diploma is 51.6 percent. Unemployment among all black men and women with no high school degree is 30 percent. The Gang of 8 immigration reform proposal is a nonstarter. We must reject any reform that doesn't make our nation freer, fairer and more secure.